Intended use: Recovery runs. Use on all surfaces except wet roads, smooth surfaces and trail. Upper: Stretchable mesh, internal sleeve. 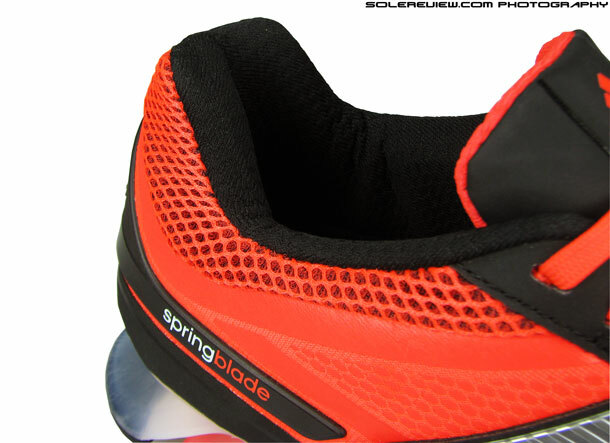 Midsole: Elastic Polymer- Springblade, Adipower drop-in sockliner. Weight: 396 gms/13.96 Oz for a half pair of US10.5. While Adidas deserves props for introducing radical innovation into the marketplace, it has none of the benefits which its glossy marketing claims the shoe to have. At best, the Springblade is a comfortable, well cushioned neutral shoe which will turn heads due to its distinct visual appeal. 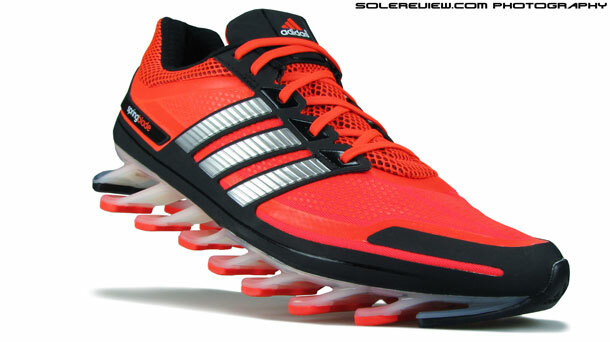 The Adidas Springblade is bit of a footwear anachronism, to say the least. There was a time, between 2001-2007 to be precise, when shoes with bulky spring-like cushioning systems were touted to be the next big thing. Generally termed as shoes with ‘mechanical cushioning’, technologies such as Adidas A3, Megabounce, Shox, New Balance Zip claimed to mimic the shock absorbing and energy return properties of a metal coil spring. Logic being, the pillars or chambers beneath the shoe released potential energy with each stride, propelling the fortunate wearer of the shoe forward. But despite millions spent on marketing these engineering marvels, the mechanical cushioning phenomena faded into sunset. The world order evolved quickly; the new formula for commercial success became one that combined aesthetic minimalism with a new found favour for low heel-to-toe drop. And all of this had to be delivered in a lightweight package, a middle ground between minimalist purity and traditional running shoes. 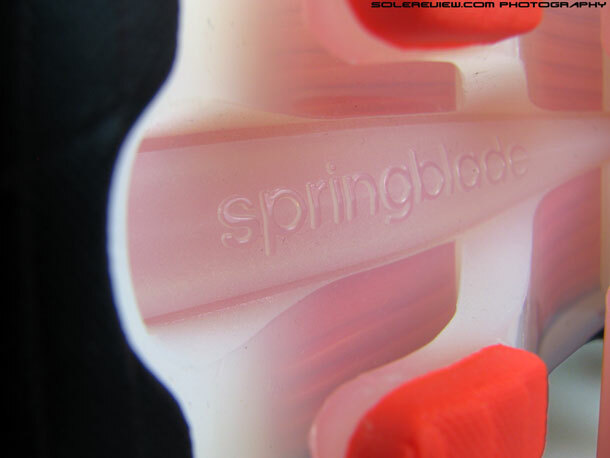 So in that context, the launch of the Springblade in August 2013 was an unexpected surprise. 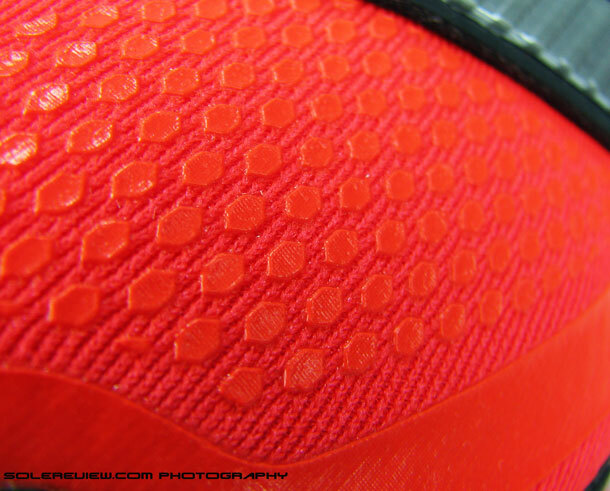 Especially just six months after launch of the Boost midsole platform, which got rave reviews everywhere. That said, any innovation in the crowded footwear industry is a welcome change, regardless of the commercial success (or not). Footwear projects like the Springblade usually have a relative carte blanche on development where designers and developers have a higher degree of freedom on the time and money they can spend. For all you know, such a project can turn out to be a damp squib commercially, but newly discovered features and construction techniques can be applied to future products in some form or other. 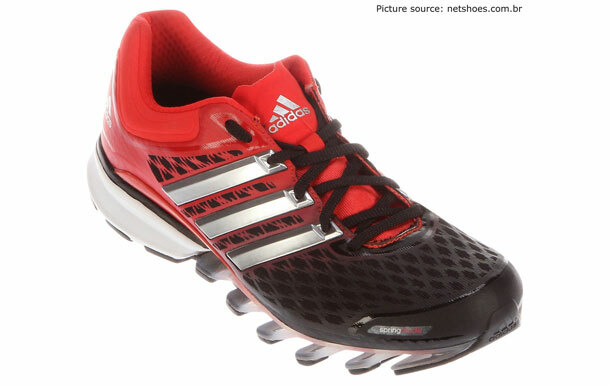 But that’s the larger and feel-good picture; how does the Adidas Springblade perform as a running shoe? Adidas used marketing buzzwords and phrases like ‘Explosive Energy’ and ‘Propel runners forward’ at the Springblade launch last year. Our curiosity was piqued, so we decided to buy a pair and put the claims to test. At this point, we assume that you already know about the Springblade concept, its sixteen blades and all that follows, so we won’t repeat any of that catalogue stuff here. Our job here is to find out whether the shoes actually stand up to the marketing claims – the good and bad of it, the whole nine yards. We’ve got quite a few runs on the Springblade, and to be honest, the experience has been underwhelming. The shoe looks amazing, and unlike anything else on the shelves right now. The unique design of the Springblade is a conversation starter, and you’ll get sideways glance more often than not. But looks are one thing, running in them another. Particularly when it comes with the crushing burden of marketing hyperboles. Even at a leisurely 8 minute mile pace, there is no ‘explosive’ spring back at all. Sure, the shoe feels cushioned as the blades bend, but that’s pretty much all there is to it. From the looks of the Springblade, it would seem as if the blades would flatten themselves completely out against the underside of the shoe, ready to snap back from its fully compressed state. But in reality, what happens is this: During each foot strike, the blades compress under the body weight, but only travels around a centimeter, its tip resting on the blade behind it. If we had to offer an analogy, it is the equivalent of a car suspension ‘bottoming out’. Besides the low suspension travel, they are also too soft to achieve anything impactful. Heel and rear-foot strikers put in many times of their body weight during impact and the blades simply do not have enough tensile strength to push the body upwards. The blade might feel firm when pressed down with fingers, but that’s a poor way to assess how they actually perform during running. In short, there is no ‘explosive energy’ or ‘forward propelling’ from the Springblade. During walking speeds, there is a distinct sensation of the blade compressing, and it might result in the illusion of mild ‘propulsion’. But during runs, there is no sensation of propulsion nor does the Springblade make you go faster. 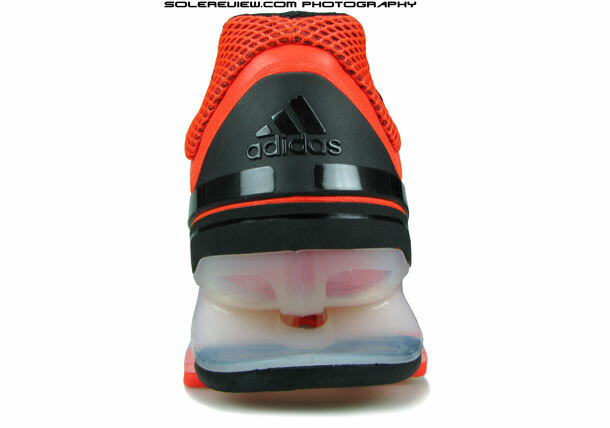 On the contrary, we felt that the Adidas Energy Boost 2 did a better job at making faster runs conducive. This also applies to sprinting speeds, the firmer forefoot blades lend the illusion of propulsion, but you’re better off in a proper track shoe when it comes to shaving seconds off. Big blades, but limited range of motion. Forefoot blades are slightly stiffer due to shortened length. 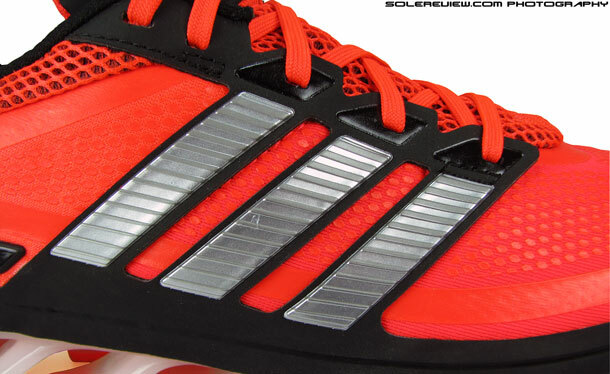 The Adipower insole is massive, and doubles up as a midsole. Sort of. The underside of the sockliner looks like the underside of a boat. 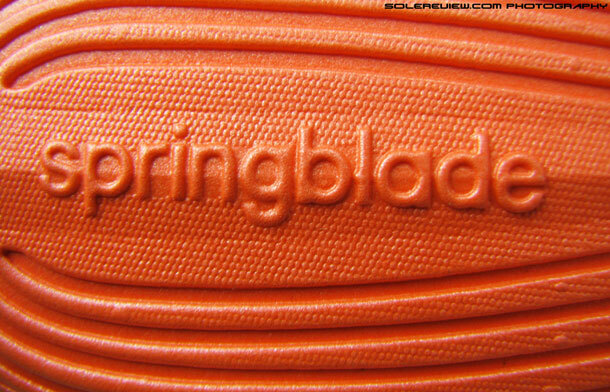 Chunky foam insole made specifically for Springblade. Strip away the marketing exaggeration, and the bladed wonder turns out to a very well cushioned neutral running shoe. The blades cushion in a way which feels very unique, unlike any other foam based running shoe. Since the length and design of the blades differ from rear to forefoot, compression is felt more in rear-foot than in the front, where it is much stiffer. 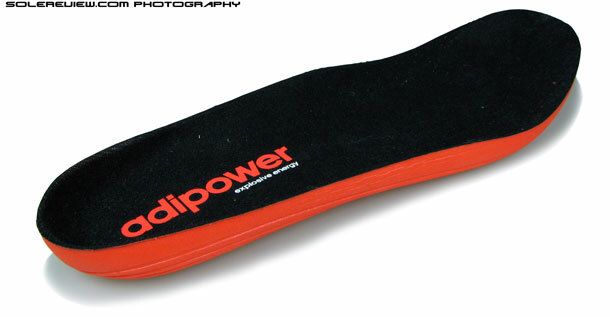 Since there isn’t any foam midsole to speak of, the drop-in ‘Adipower’ sockliner fills in for midsole duties. 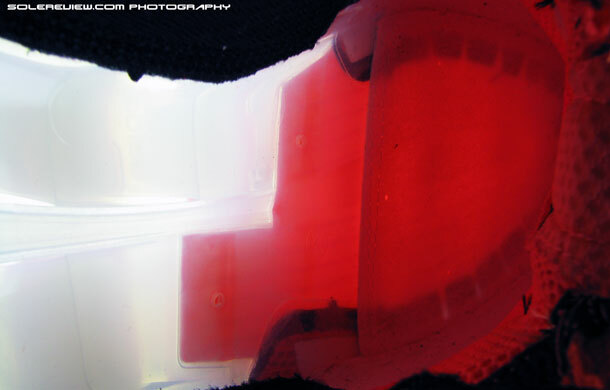 It is this massive, molded piece of contoured foam which sits right above the transparent Springblade unit. It serves as a nice cushioned layer between the radical Springblade unit and foot, and also cups the underside of the sole with its flared edges. We felt that the tip of the outsole was an impediment in toe-off. They look amazing, but with only a small contact surface, the grip is terrible. 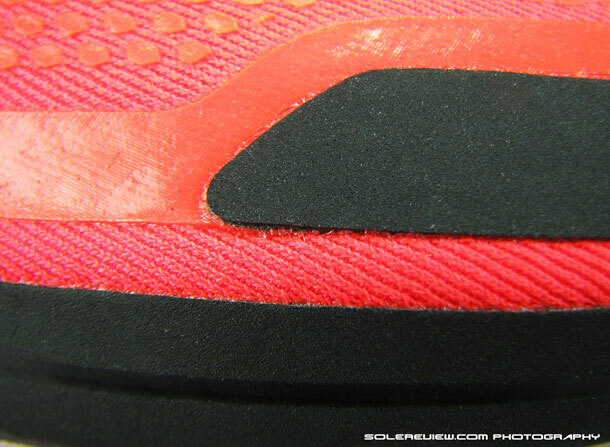 Under-heel pod sees accelerated rubber wear. Also kicks water back on damp roads. Heel to toe transition is average; there isn’t much of the outsole beneath so weight transfer progressively happens from blade to blade, and the movement comes across as disconnected. The forefoot roll-off is impeded by the flat blade at the tip of the shoe; feels like you’re going over a small lump during push-offs. But that pales in comparison to the biggest negative in the Springblade – its grip. The rubber pods on the bladed tips are all that one gets as contact surfaces, so traction is terrible in less than perfect conditions. During one of the test runs, we ran on damp roads just after the rains had stopped. While the road grip was ok during the run, the Springblade was downright slippery when walking back on a cement walkaway after the run. The blades also have this tendency to kick up water on your Achilles if the road is wet, so clearly this shoe is meant only for 100% dry conditions. The back of the blade is prone to accumulating dust, but the material is easy to wipe clean. 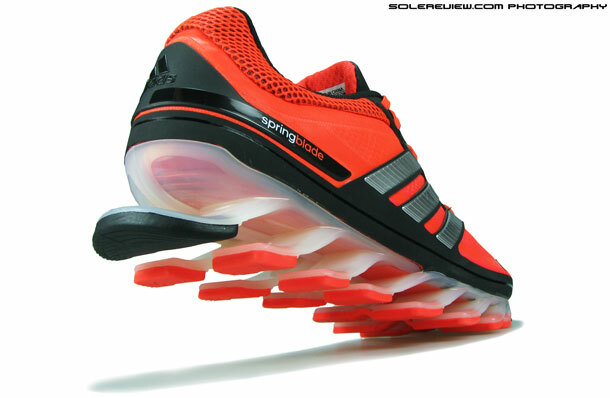 And if you wanted to know, the Springblade makes a soft ‘whoff’ sound when walking. It isn’t loud, but it is audible when walking on hard indoor surfaces, when there’s less ambient noise. The outsole pods come in contact with the ground at an angle, so wear and tear is fast. 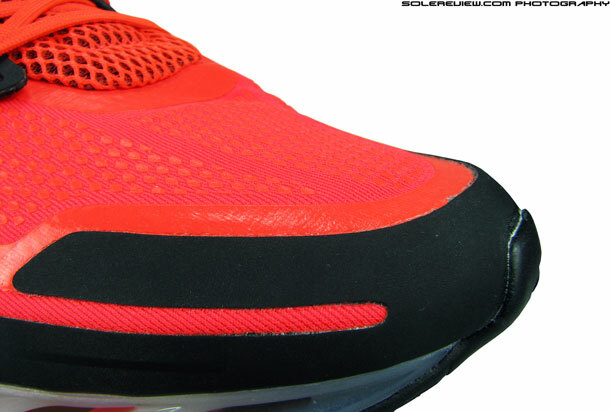 Minimal outsole coverage leads to poor grip on less than perfect surfaces. Outsole durability is a problem. 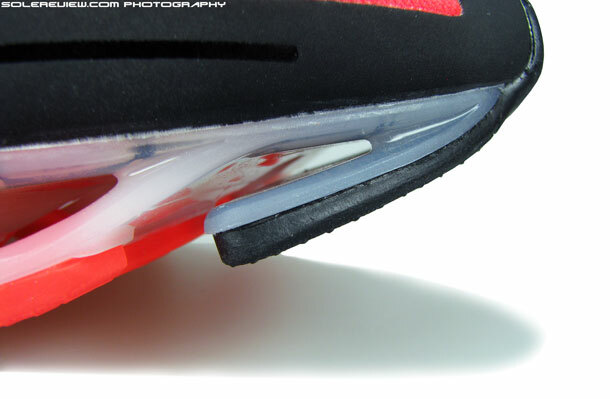 We saw accelerated rubber wear on the wide heel centre blade, and the two rubber pods on lateral rear-foot blades. The blades are positioned ‘corner-up’ and have their edges as the first point of contact with the ground, so expect to see rubber wear there. And because of the way blades are distributed, rear-foot rubber will wear out faster than forefoot – considering the runner will heel or rear-foot strike. The ‘techfit’ upper shines on the Springblade. Superb snugness. Stretchable forefoot mesh with high density printing. Tongue is gusseted (attached to sides) and with generous foam padding between layers. The Springblade’s upper is excellent. 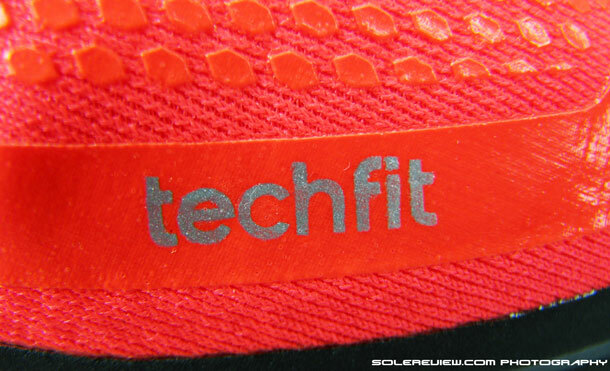 For most part, the ‘Techfit’ upper uses a stretchable mesh with printed hexagons, and the multi-directional stretch fabric fits the foot snugly without much pressure. 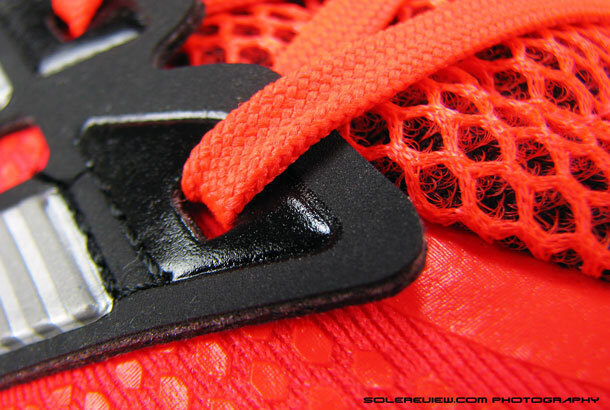 The mesh is very comfortable too, as the reverse side is an air mesh lining with a lot of bounce. 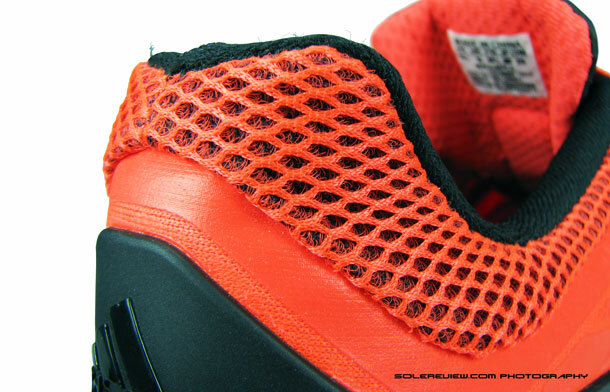 The tongue is made of open structured spacer mesh, with foam padding running down its center and at the top. This eases the pressure once the laces are tightened across the midfoot – the laces look flat, but are in fact tubular (hollow) type which are resistant to coming undone. The tongue forms the part of a sleeve and is attached to the sides, so no tongue slide happens during motion. The forefoot fit is snug, but there’s some space upfront ahead of the toes – the shoe runs half a size larger than what you might be normally used to. On a related subject, Adidas sizing is a source of some confusion for runners since their US sizing is not the same as Nike, Brooks or Saucony. A US 10 in Adidas is actually US 9.5 in American footwear brands, so as a thumb rule you should always buy half a US or UK size bigger in Adidas. To avoid any mess-up, always refer to the CM (centimetre) or JP (Millimeter) sizing on the tongue label. CM or JP sizing is the only true measure of actual foot length, so if you have a 28.5 cm (285 mm) shoe in Nike, buy the same size in Adidas and you should be all set. Collar heights are usually low on Adidas shoes, but not on this one. The collar walls are higher than, say an Energy Boost or a Supernova Glide 6, and do a good job of gripping the ankles without any dig. There’s a lot of foam padding topped off with a comfortable lining, and the outside is a band of soft spacer mesh which is also used on the tongue. 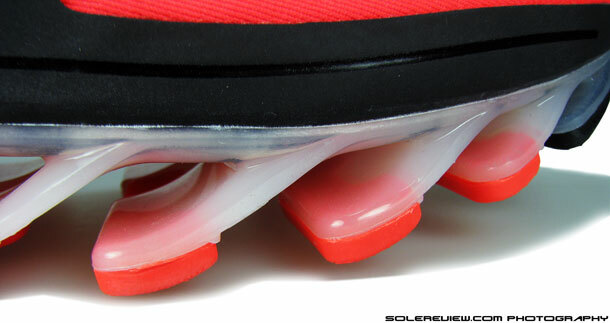 There’s a floating, plastic heel clip which is fused on to the heel area and reinforces that area. 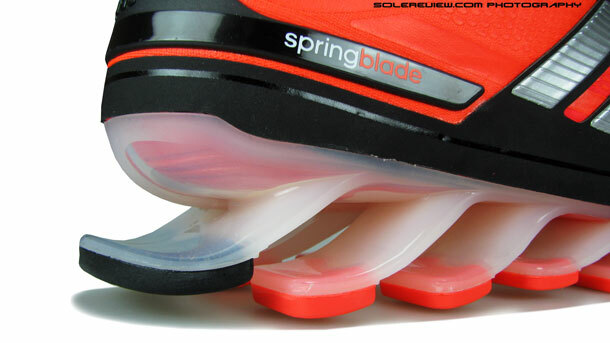 The rear foot section looks very clean and sleek, owing to how the Springblade sole is attached to the upper. In the forefoot, the upper is folded under and then glued to the base, but in the rear-foot, a thin wall rises up from the sole and integrates (not visible in picture) with the upper. 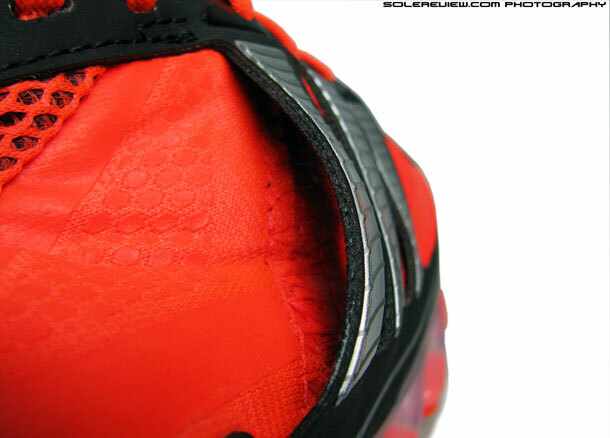 That’s why, when you remove the Adipower sockliner, all you see is the transparent base and no upper. Thick, fused synthetic overlay forms the toe bumper and upper periphery. The synthetic band also extends upwards to form the midfoot panel. The midfoot panel is free of the upper, so there’s a greater freedom of lacing adjustment. 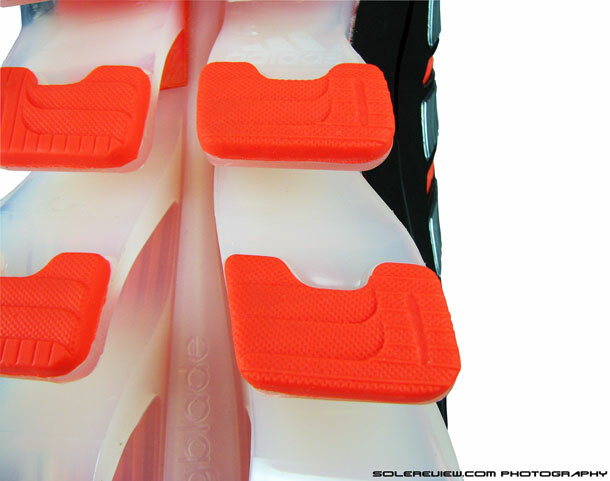 Overlays on the Springblade upper are fused, with a thick band all around the edge of the upper. 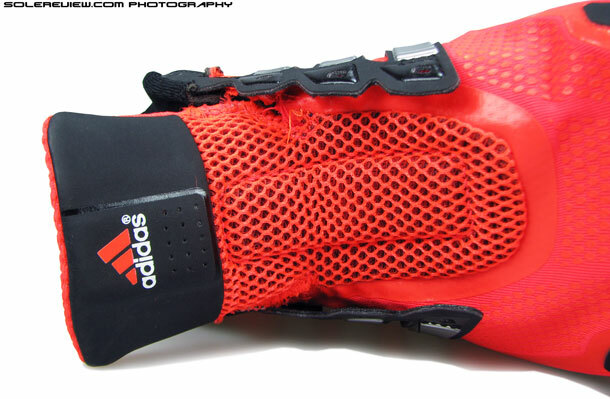 The toe bumper is protected with a strip of fused synthetic, and the thick material at upper edge extends up at the mid foot to form the Adidas three stripes, which acts as functional support. Since the mid foot panel is relatively free of the upper, there is a greater level of custom fit depending on lacing pressure. The weight is not bad at all for a shoe with a full length TPU sole. It comes in at 396 grams for a US 10.5, which is not exactly featherweight, but acceptable. And once in motion, the weight isn’t a bother. The Adidas Springblade is a novel idea which we had high expectations of, so we were tad disappointed that the shoe failed to stand up to the brand’s marketing claims. It does have its merits, but possessing a magical ‘explosive’ or ‘forward propelling’ power isn’t one of them. The Springblade is a great looking shoe with unique and responsive cushioning, but that makes you wonder whether those attributes alone are worth buying the shoe for . At a wallet busting price tag of $180, it does make you re-think your choice of career. We’re also eager to see what the future of Springblade is – trickling it down to other shoes is a challenge, looking at the past history of mechanical cushioning. Unless you’re selling to the Brazilians, in which case you can get away with selling something like the Springblade FF, a strange looking beast with a bladed forefoot and a foam rear-foot. We have a feeling it won’t cut it in other parts of the world. Here’s a picture, just in case you don’t believe us. Hi – performance basketball footwear reviews are some time away for us. We’ll start around between Dec 2015 – Mid 2016. When we do, be assured that they will be the best baller kick reviews the world has ever seen. Thanks for clarifying – we don’t currently have this shoe in our review roster till September. If we do end up reviewing this, it will be the next version. And the graph… those are individually made for every review! These are the most expensive shoes I have ever bought. They are also the most useless. The sole design looks fantastic, but it is too thin and too inflexible at the stress points. The ones I bought split across the soles within days. I walk 6km on paved roads each day. There is clearly a major design fault with these. DO NOT BUY THEM! Do you think you can upload a picture here for everyone to see? Thanks! Agree with you, bought 5 months ago and now the middle blades cracked and broken..
Just found this site, and thank you for the great review. For long distance runner, do you recommend anything for people who have “foot problems”? That’s always a tough one, and like you said, it takes a lot of shoes before you find the ‘one’. The general guideline is to find a shoe which does not have a synthetic layer or covering over the base of your toe on the inner side.. For example, the 2013 Pegasus 30 or the 2014 Nike Free 4.0 Flyknit comes to mind – though how the upper behaves with your HV depends on your foot anatomy. I loved mine until they started to come apart. Very disappointed in the quality for such and expensive shoe. Wish I had the receipt to return them. They are only about 10 weeks old. Which part of the Springblade was affected? 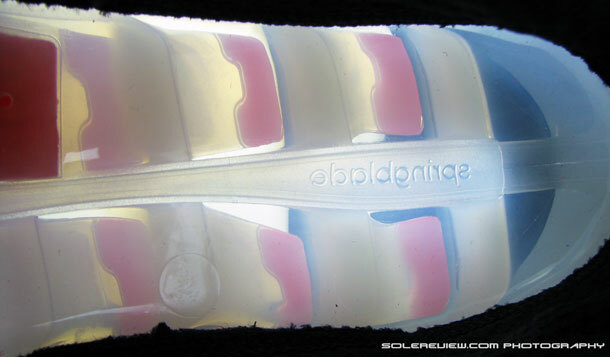 The springblade sections are splitting off of the bottom of the sole of the shoe. It has begun in the middle of the shoe and is working toward the toe. I am very disappointed. That is disappointing indeed, for a shoe that costs so much. Now the GOOD news! I took the shoes back to the retailer. They said there was a manufacturing issue and I needed to call Customer Relations, 800 448 1796. I did. They are setting up a return and replacement. I await their further instructions. That is great to hear, hope you get a new shoe soon! Just call Adidas on them. You don’t need a receipt and they will send you a form to fill out and send the shoes back to them for a credit. I’m debating on doing this for my sons shoes or just keeping them and letting him wear them out. well and are staring to look a little gross on the bright yellow. Anybody know what I should use to clean them? Or just stick with a damp cloth? What material is the bright yellow made of? We usually gently bucket wash shoes (lukewarm) using a shoe shampoo and a piece of bath sponge. That’s after we use Krud Kutter dabbed on a piece of cloth (pressure with index finger) and clean up areas like the midsole and other non-fabric areas where plain water or shampoo won’t do. I owned three separate pairs of these, all of which came apart in the center of the sole. I initially ordered one pair which started coming apart after about 3 months. After contacting Adidas and sending them back for gift credit, I bought two more during the tax free weekend for slightly more than I paid for the first pair. Within two months, both of them had the blades detaching from the sole of the shoe like the first one. I love Adidas, but I strongly suggest avoiding these shoes. Thanks for the feedback! There were a few more readers mentioning that these blades come apart rather quickly. Sorry to hear that. The Springblade aren’t great long term shoes, a few readers have commented on the lack of durability. adidas should replace them for you – hopefully things work out for you. I just ordered the Rick Owens Adidas springblade shoes that retail for $890 but got them on sale. I hope the price matches the quality, and they last longer than the lower price version. I am not going to use them as running shoes of course. If they start falling apart, I am wondering if Adidas will refund me the money. Don’t believe there will be difference in durability over the regular version, but if you’re not running in them, the logical outcome is a much longer shoe life. 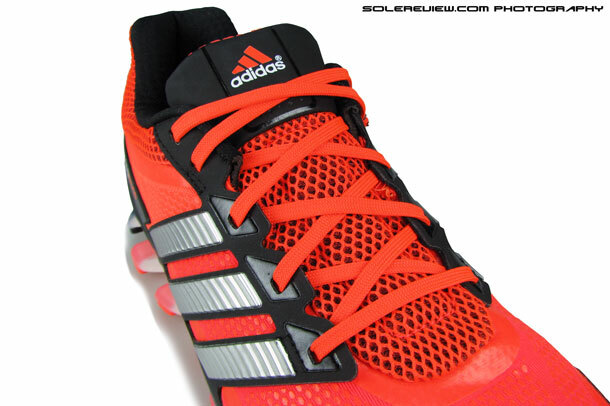 Just purchased the Adidas Springblade Drive shoe. Wore them and on day 2, both shoes have cracks on the center of the plastic sole, under the Springblade. I walked maybe 1 hour combined in the 2 days of wear. The rest of the time, I was sitting down. the Springblade shoe is pure trash. Plenty of other (similar) complaints here in the comment section too. Yup, got a lot of those around here.